Zachary Christiansen was born in Greenville, South Carolina and grew up in Knoxville, Tennessee. Mr. Christiansen graduated from the Georgia Institute of Technology with High Honors and obtained a degree in Civil Engineering in December of 2008. Mr. Christiansen attended Tulane University Law School where he was a member of the Tulane Environmental Law Clinic and Chief Legal Engineer for the Durationator® software project. His technological background is often put to use on behalf of his clients given the many technical complexities of the cases the Firm handles. He was admitted to the Louisiana State Bar on October 25, 2012. Mr. Christiansen joined the firm in August of 2012 and has been a partner of the Firm since August of 2018. Mr. Christiansen's efforts on behalf of his clients have resulted in several large recoveries including a jury verdict in excess of the statutory caps on damages. 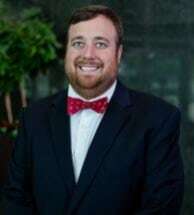 He is licensed to practice before the United States Patent and Trademark office and is a member of the Louisiana Bar Association and licensed to practice in all Louisiana state courts.